This simple turkey brine recipe will ensure that your turkey is moist and flavorful whether you’re baking, frying or smoking your bird this Thanksgiving! 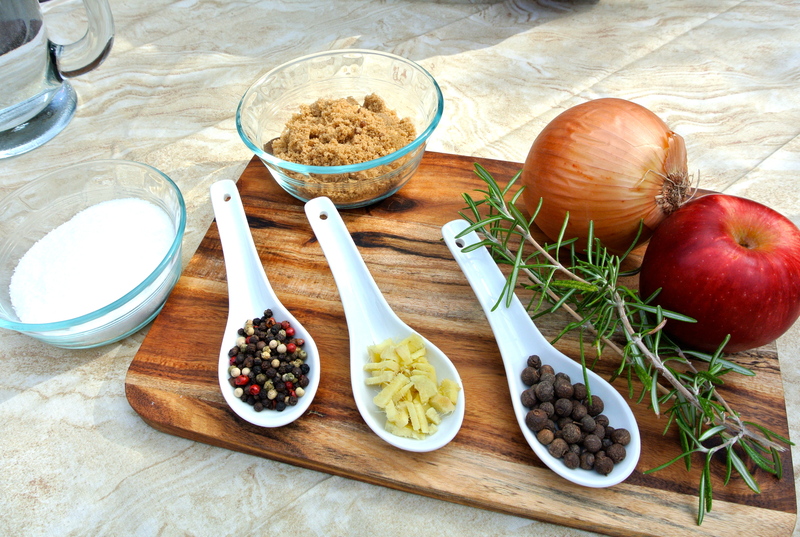 Add all your ingredients (except ice water) to a medium stock pot over high heat and stir until dissolved. Remove the pot from the heat and add your ice water. Allow the brine to cool and insert your turkey, breast side down for 12 hours. Flip the bird half-way through. The next day, remove your turkey from the brine and rinse off excess brine. Your turkey is now ready to cook. Enjoy!